This is a new photo sharing and organizing experience. You can create web photo pages the way you want them, free of charge. Web albums and slideshows are automatically generated. Easy upload, organization, and share. Email photos, albums, and slideshows. All in one service. It's easy to get started using - just click on "Create your webalbums" above to upload pictures and create your first web album! When you upload your pictures, they are automatically created into online Web Albums. It's that easy! 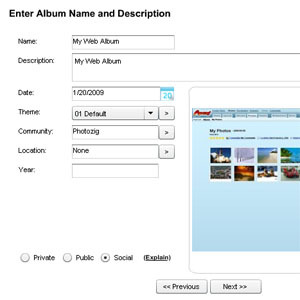 Each album is added to you account and includes a thumbnail view, detail view, titles and descriptions. Click the slideshow tab to view your web album pictures in an attractive slideshow, complete with full screen view, adjustable duration, and transitions. 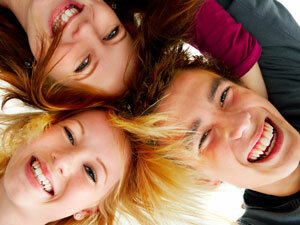 Instant slideshows are generated as you upload your photos, and you can email your slideshows to friends easily. Let others know about your new web album! 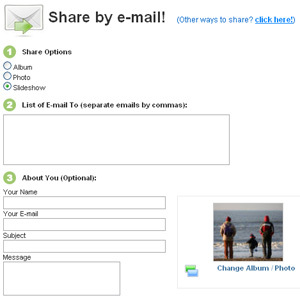 Click the Share tab to quickly and easily share one of your web album Photos, Albums or Slideshows with others by e-mail. See something interesting in a community or someone else's album? Use the same feature to notify others. Do you have a blog or your own web site? Easily link to your web albums page using one of the preformatted links. Our upload manager allows you to select and upload multiple files at once. Pick and choose which pictures you'd like to send to the web, and our upload manager will do the rest! Easily browse your albums and pictures and communities. Tabs at the top of the screen clearly highlight the various levels of detail: Albums, Photos, Details. In the albums and photos view, you'll see a thumbnail view of all of your albums/photos, complete with titles and descriptions. In the details view, large buttons on either side allow you to quickly browse between photos. Browse other community albums: If the photo or album is part of a community, clicking the community name will show other albums in the community. Interested in other photographers from a specific location? Click the Map link to see other albums from the same location or other locations around the world. Spice up your web album with our personalization feature! You can design your web album exactly as you'd like - adjust the colors, background, fonts, and layout of your web albums design. Add a logo and additional images -- move the additional images anywhere on the screen. If you prefer, you can also choose a design from our library of designs, and you always have the option to customize it later. Examples: Business users can add a company logo and background style. A personalized wedding template could have the photo of the bride and groom as a background image. A photographer could use a photo from their portfolio or business contact information. 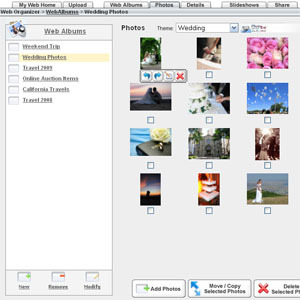 Organize your photos into albums easily. Browse and sort your albums and photos quickly. Modify title, description, date, location, community, and themes in few seconds. Set permissions for visitors (private, public, social). Move pictures from one album to another, and manage your photo albums effectively. You can delete, rotate, sort, and manage photos quickly. Photo albums can be accessed easily, giving a fast view of the contents of an album. With a single click in a floating toolbar, most useful photo operations are performed such as delete, rotate, and change title/description. With a simple drag/drop photos can be ordered in an album. 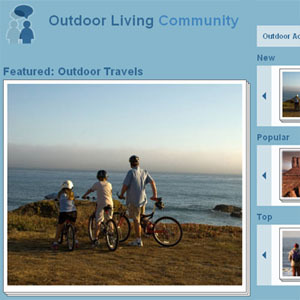 Communities are a special meeting place where you and other users can post pictures under a common theme or topic. For example, if have an interest in a particular actor or sports team, you may want to create a Community - available for other users with similar interests to post their pictures. Non-indexed communities are also supported, e.g. for a reserved wedding, or a class graduation - for you and your family & friends to post albums, which will not be publicly promoted (only you know the link). Communities are an optional feature. You don't need to post your albums to a community, and your albums can be social (shared with community), public, or private.